Need to give out hot drinks while still promoting your logo? The Custom Paper Cup is great for showing off your company. Unlike other coffee cups you can add your full color logo onto the side to display at any moment. Great for winters, early mornings, and coffee shops. 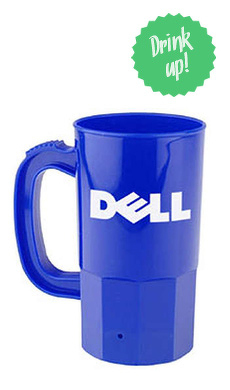 This cup has full color imprint to make your company or image stand out. Multiple cups fit into one another making it easy to stack and store bulk loads of them. Free set-up fee. Also available in 16 oz cup.